Location, Location, Location! Come Share Our Family's Villa! Welcome to our home away from home. My wife and I have been vacationing in Hilton Head Island for the last 18 years with our 3 children. We found the Island Club to be very 'family friendly'. Our Villa is located on the Atlantic Ocean within 1 minute walking distance to the beach. There’s plenty of activities to fill a vacation or if you prefer, a great place to relax and unwind! Our Villa is beautifully decorated and we think you will find it very inviting! Many of our guests return year after year! For a personal tour of our Villa please please go to our Villa Website: www.delducosvacationvilla.com. My Family and I live in Ortonville, a small community in southeast Michigan. We have bean spending our summer vacations in HHI for 18 years. Our children are now grown adults but still enjoy vacationing with us at our Villa in Hilton Head! The Island Club is located on the Atlantic Ocean. There’s plenty of activities to fill a vacation or if you prefer, a great place to relax and unwind! Our Villa is located by a beautiful lagoon and has a side ocean view. There are lush courtyards throughout the property with plenty of friendly ducks and rabbits. The condo was so clean and stocked. Walk out back porch to beach, front door to pool! I have back issues but the king bed was great and firm! Had two boys who loved their room(8 & 3). 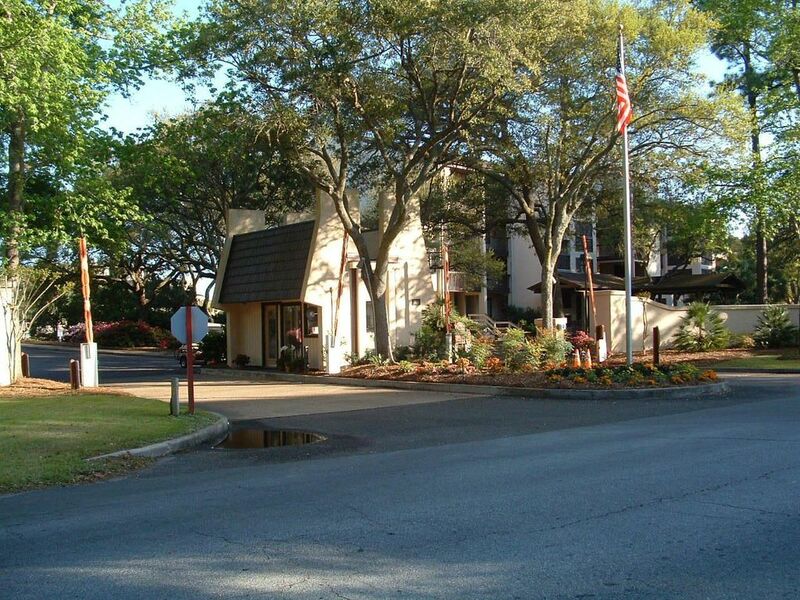 When we come back to hilton head will be staying here! My husband and I, and our two children (ages 9 and 5), thoroughly enjoyed our stay in this villa! Two-minute walk to beach, pool, playground, basketball/tennis courts, etc....great location!! Kitchen well-stocked with all essentials, plus extras. Beach chairs and boogie boards provided. Slept great on the king-sized bed in master suite! Villa was extremely clean. Wonderful family memories made here, and hope to return! Very clean villa ! Has all the extras u need ! Central location to the pool and beach ! This was our first time at Hilton Head and we absolutely love it ! Tony and his assistant Sheri were a joy to work with. Everything was clean, and just as described. The resort has been very well taken care of. Hopefully will get to return soon! We really enjoyed the property, and it was perfect for our 2 children as well. Loved the easy access to the beach and the playground. Thank you again! Great place to stay for vacation. Loved the room and beach. We will be back. Bldg on the ocean - great location. Condo well taken care of with good furnishings. Condo on first floor which provides easy access. Anticipate renting again next year. Cancellations: 90 day notice – full refund less $50.00 administrative fee; 31 day to 89 day notice – 50% of deposit, less $50.00 administrative fee, will be refunded or applied to another time. Less than 30 day notice – cancellation fee equals deposit and Lessee is responsible for the rent if the unit is not rebooked. *Discounts available for Monthly Rates - please contact the Owner.